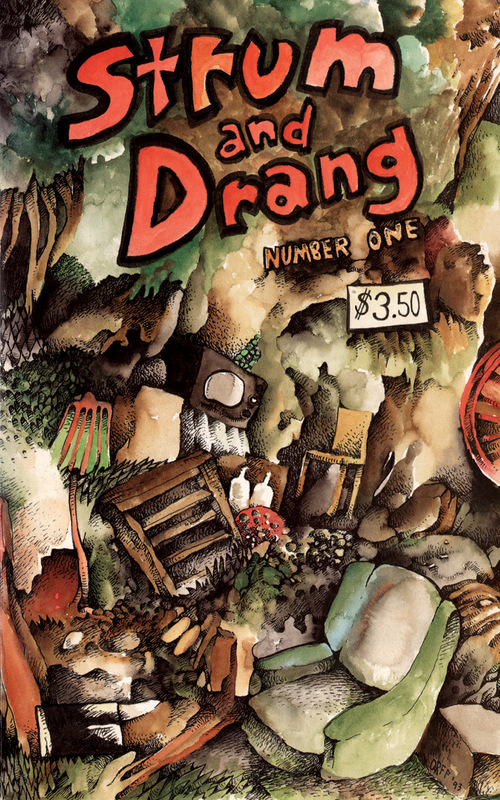 Alternative Comics presents the digitally re-mastered edition of Joel Orff’s 1993 self-published Strum And Drang #1. In his signature dark and dreamy style, Orff delivers tender stories of self-realization from the antics of childhood memories to the misremembered senility of the elderly and lonely. Joel’s follow-up book Strum and Drang: Great Moments in Rock ‘n’ Roll was nominated for the 2004 YALSA Paperbacks for Young Adults list. Orff’s book Thunderhead Underground Falls was selected as one of Booklist’s Top Ten Graphic Novels of the year in 2008. Since August of 2005 his weekly comic strip Great Moments in Rock `n’ Roll has run in various free weeklies, currently appearing every Friday in The Pacific Sun of Marin, California.